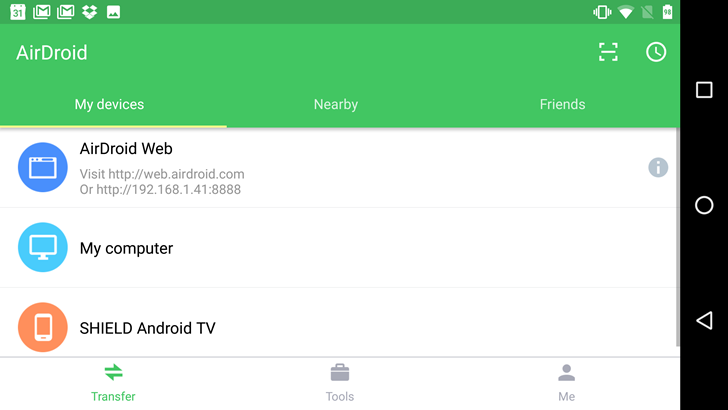 AirDroid, the free app that offers easy file transfers and remote management for Android devices, remains one of the best and most consistent apps on the Play Store. Developer Sand Studio is scrupulous in maintaining the app's functionality and improving it with new features and design tweaks. Today the dev introduced what's probably the biggest change to the platform since it offered a paid option: a complete visual overhaul. Everything from the layout to the logo to the promotional web page has been updated.